Organizations have always been managing risk, both formally and informally. Risk management as a profession, however, has become increasingly popular in the last few decades. With promises of huge financial savings and other benefits, organizations are eager to begin. However, it should not be taken lightly. There is a process to follow, and there are several key issues that risk managers often have trouble with. If you feel your initiative isn’t fully effective, here are several actions that may be hindering your project and how to fix them. Without a thorough understanding of risks, it is difficult for managers to prepare mitigation strategies. Some common issues include focusing all attention on a few areas, allowing some risks to go unconsidered; obtaining a passive understanding of issues, where some members of the organization are not fully committed to risk management; and incomplete data, where decisions are made based on information that is missing crucial pieces, leading to inaccurate trends and ill-informed choices. To reduce the chance of an incomplete analysis, ensure your organization goes through the risk management process in its entirety: identify potential risks, analyze frequency and severity, evaluate alternative solutions, choose a solution and implement it, and monitor results. More details on the effectiveness of the risk management process can be found in our whitepaper. Some managers conduct a risk assessment with the assumption that risks that have occurred in the past provide a full understanding of what will happen in the future. 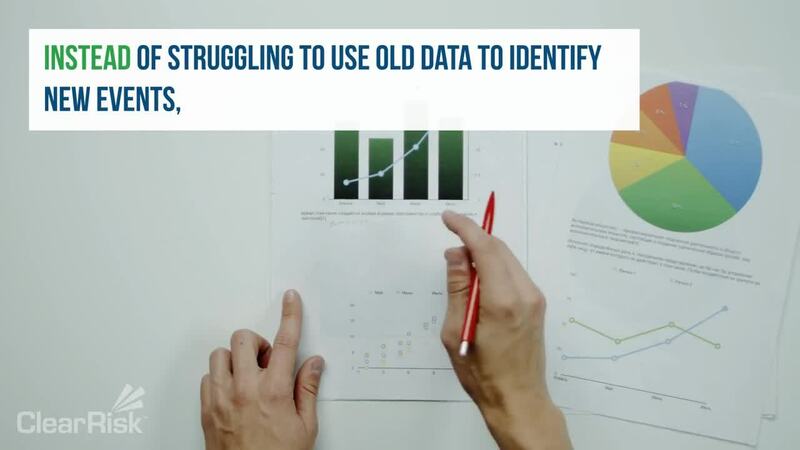 While performing internal and industry research is important, using exclusively historical data will result in an out-of-date understanding of issues. The external environment you’re operating in is constantly changing, and so are your risks. Regularly review both internal and external situations and brainstorm innovative solutions. There is also the chance of “Black Swan” events – those that are basically impossible to predict but have the potential to have a huge negative impact. Instead of struggling to use old data to identify new events, risk managers should focus on reducing exposure across the board. You can read more about black swan events in this article from Harvard Business Review. Employees must understand how important risk management is in order to implement it in their day-to-day duties. Your organization should start with a “top-down” approach, with management explaining the benefits of risk management and leading by example. Risk management should be demonstrated by middle managers as well, to ensure that all employees are fully exposed to effective behaviour. Risk management leaders should be encouraged to reduce risk, not just losses. This will ensure that no shortcuts are taken along the way that will eventually damage the organization, such as those in the Wells Fargo scandal. Any given organization may need to manage different risks for different reasons: to prevent financial losses, lower the rate of incidents, protect employees or customers, and so on. Managers should ensure that risk management goals line up with organizational goals and are not adopted just for the sake of doing so. This will bring higher levels of commitment and therefore better results. Risk management is complex and requires the careful tracking and analysis of many types of information. Storing data in email folders or Excel spreadsheets simply isn’t adequate. It leads to slow decision-making, misplaced information, and confusing processes. Risk managers need a system that is comprehensive: one that can help with real-time decision-making and quickly understanding the source of issues. ClearRisk’s Risk Management Information System is cloud-based, automatically sends notifications and reminders, and can instantly produce reports on any piece of data in its system. We regularly release new capabilities and updates. Risk management is constantly evolving, and your software should too. As with any new project, it's unlikely that risk management will be wildly successful from the beginning. But if you work on preventing the actions described above, your tactics will be more effective and the benefits your organization desires will soon be realized. Want more information on ClearRisk's system?